Clyde Campbell and Amanda Hardie. The Press and Journal can today reveal the shocking blunders in the care received by the unrelated youngsters, named only as Child T and Child S.
The “deeply distressing” cases last night raised fresh questions about child protection services in the Highlands, where the controversial Named Person policy has been pioneered. In the case of Child T, the unnamed youngster suffered a life-threatening head injury after Highland officials got “fed-up” waiting to check the criminal records of relatives, and took the “risk” of allowing him to move into their care. And Child S also sustained a violent head injury, despite child protection services noticing a possible bruise on his face just days earlier. Both children are understood to be alive and recovering, but the cases mean that Highland officials have now been the focus of three “significant case reviews (SCRs)” in as many years. “missed” opportunities to protect tragic two-year-old Clyde Campbell from months of neglect before his cot death in Inverness. The P&J has also learned that four referrals for SCRs in Aberdeen have been made in the last two years, one of which is being progressed, while Aberdeenshire was also asked to hold one last year. There were only 20 SCRs conducted across the whole of Scotland between 2012 and 2015. The Child T report, which was completed in March last year but has only now been published, was ordered after the youngster required surgery for a “life-threatening head injury” in 2016. His aunt and her partner were subsequently arrested and investigated. It has now emerged that child protection officials in the Highlands agreed that the one-and-a-half-year-old could move to England to live with the aunt after they got “fed up” waiting to check for any relevant criminal convictions, and took the “risk”. It added that a “crucial” factor was the “problems with the disclosure/vetting systems between England and Scotland”, and that the case underlined “how quickly responsibility for a young child can turn into irresponsibility”. Child S, meanwhile, was just 30-days-old when he was admitted to Raigmore Hospital in Inverness with “injuries recorded as being consistent with violent head injury”. His siblings had earlier been taken into care due to the risks of neglect, but were returned to their mother and her partner after they began to co-operate with staff, and after it was decided not to hold a children’s hearing on their care. No pre-birth assessment was completed for Child S until shortly before he was born, and shortly afterwards a health visitor noticed a possible bruise on his face, but the “benefit of doubt was given to the parents”. The report also raised questions about the resourcing of the family team in Highland, as well as a “long-lasting” issue that followed the “breakdown in the line management and supervision” of the staff, and whether there is too much faith placed on “geographically-isolated area managers” in the vast region. Child protection in the Highlands had already been in the spotlight in recent years because of the Clyde Campbell case and the region’s key role in developing the Named Person policy over the last decade. The Scottish Government support a nationwide roll-out of the scheme – whereby a “Named Person”, usually a health visitor and then a teacher, is appointed for every youngster under the age of 18. But critics claim it is intrusive and unnecessary in the vast majority of cases. Last night, Highlands and islands MSP Donald Cameron said: “It is deeply distressing to learn that these young children were being abused by the people who were supposed to care for them, and worse still knowing that it could have been prevented had the system worked better. On Child T, Detective Chief Inspector Vince McLaughlin, chairman of the Highland Child Protection Committee, said it was “undoubtedly a distressing case”. “As with all SCRs, this report has identified a number of areas of improvement where agencies involved can learn from what happened,” he said. He added that the Child S case “highlighted the difficulties associated with large rural areas”, and that the committee had met local staff to discuss these issues, with measures put in place to “ensure effective support and supervision”. Child protection services in the Highlands had already faced criticism in recent years following the tragic case of Clyde Campbell. A damning report, revealed by The Press and Journal last year, exposed how “all agencies” could have taken “more direct and timely” action to safeguard the two-year-old before he was found dead in a “filthy and chaotic” flat in Inverness. Social workers, police officers and controversial Named Persons were made aware of issues with the family on a “regular basis” and visited the home on “several occasions”. 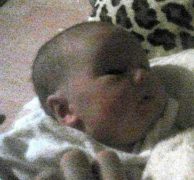 But just weeks before the toddler died, he was assessed as being “well and properly looked after at this time”. A raft of changes to policies and procedures were implemented in the wake of the investigation. 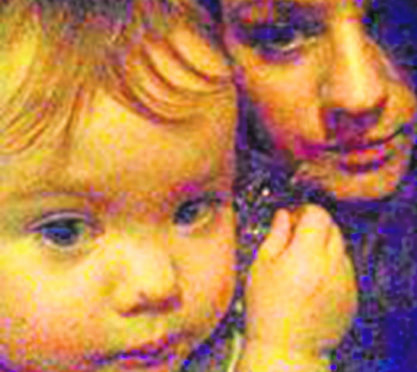 Clyde died of cot death on February 23, 2014 after months of neglect at the hands of his mother, Amanda Hardie, who stayed at a boyfriend’s house the night before he died. A post-mortem found no evidence of his death being directly linked to the neglect, but Hardie was sentenced to 10 months in jail in May 2016 after pleading guilty to wilfully ill-treating, abandoning, neglecting and exposing the child to unnecessary suffering or injury.